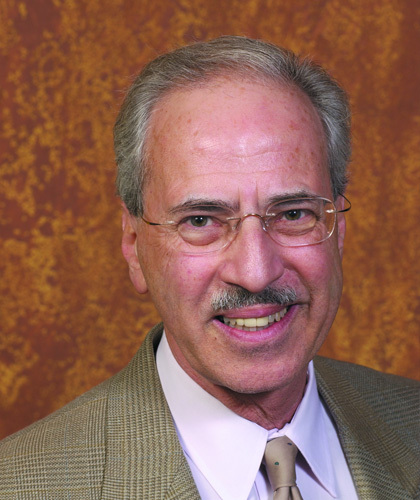 Dr. Steven Spivak is Professor Emeritus and served as Chair of the Department of Fire Protection Engineering from 1993 until 2001. On the faculty from 1970, his affiliation with Fire Protection Engineering was from 1992; he also worked in textile fire research, fiber science and polymer/chemical engineering. He presently maintains a full-time consultancy as textile fire safety expert, plus textiles and furnishings cleaning and performance specialist. These activities include Technical Advisor to the Restoration Industry Association, Science Advisory Chair to the Cleaning Industry Research Institute, science advisor to the National Assn. of State Fire Marshals, and others. Contributions have been as: (a) author and professor of standards information and standards education, (b) in consumer and textile fire safety standards and promotion of consumer product standards generally, c) contributions to private and public sector standards systems, including ANSI, ISO, ASTM Intl, NFPA Intl, NASFM and several Federal agencies (GSA, CPSC, DoC, FTC, Treasury), and (d) as a research scholar in fiber and textile science, including textiles, clothing and furnishings flammability. He received the Leo B Moore Medal from the Standards Engineering Society (SES) for "...the highest achievement, extraordinary contribution and distinguished service in the field of standardization." He also received the George S. Wham Leadership Medal from ANSI for contributions to national and international standardization. In 2001 he was honored with the Wm. T. Cavanaugh Memorial Award from ASTM International – its highest accolade with the status of Honorary Member. In 2003 he received ASTM International’s Margaret Dana Award for ontributions to voluntary standards for the safety of consumer products. Dr. Spivak is a professional member of the Society of Fire Protection Engineers, The American Society of Safety Engineers, Fiber Society, and Standards Engineering Society (SES). In addition he holds the rank of Fellow with The Textile Institute (FTI), Society of Fire Protection Engineers (FSFPE), and the Standards Engineering Society. He is the author of many scientific or technical publications and papers, and over 250 other trade press articles on textile science, consumer product standards, care and maintenance of textiles and furnishings, fabrics, clothing and furnishings flammability. He is also coauthor/editor of two books on standards and standardization. The more recent is Standardization Essentials: Principles and Practice, by S. M. Spivak and F. C. Brenner, CRC Press, 2001 (ISBN 0-8247-8918-0) see www.crcpress.com). The earlier work with K. Winsell was A Sourcebook on Standards Information, published by Macmillan. Dr. Spivak served four terms as Director with the American National Standards Institute (ANSI), and Chairman (1982-1991) of the ANSI-CPSC coordinating committee and voluntary standards forum for consumer product safety. From 1991 through 1995 he was Chairman of the International Organization for Standardization's Committee on Consumer Policy (ISO/COPOLCO). In prior years he headed US/ANSI delegations to COPOLCO. He completed annual sabbatical leaves serving the US General Services Administration (GSA) in standards and quality management; and two sabbaticals in product standards policy with the National Institute of Standards and Technology (NIST/DoC). Professor Emeritus Spivak holds B.S., M.S. and Ph.D. degrees in textile engineering, and in polymer and fiber science, the latter from the University of Manchester (UK).